I always try to immerse myself in the stories and sagas of a country before I travel, so when I’m lost in the beauty of it all, I have something to guide me. There is no more immersive way to contextualize yourself than through the fiction of that country. Cuba is ripe with stories; it has a history so utterly unique and dramatic, that many people both Cuban and otherwise have brought the past to life in stunning and compelling ways. Here is a list of some of my personal favorites and some classics to get your mind primed for la vida loca that is Cuba. Freedom fighter, visionary, scribe and national hero, Jose Marti personifies the Cuban spirit. Apostle of Cuban independence, he is revered throughout Latin America for his fearless battle against injustice. This book is comprised of the four issues of a children’s magazine he published in 1889 while living in New York. Dedicated to the children of America, the beautiful poems and narratives are rich with his teachings and wisdom. I read this is to improve my Spanish, and it was a wonderful way to learn. Naturally, my namesake. I read this after returning from my first trip to Havana and I wished I had read it before. The frenetic madness of that city is fantastically conveyed, even if it describes pre-revolutionary Cuba. A black comedy, it tells the absurd story of James Wormold, a vacuum cleaner salesman, who gets caught up in working for the British secret service. I saw the movie first, which has exceptional performances from both Javier Bardem and Johnny Depp (2000), but it is based on the shocking memoir of visionary Cuban writer Reinaldo Arenas. Conveying the sheer force of the human urge to create, it charts Arenas’ stunning odyssey from poverty-stricken childhood, through his struggles as a writer and subsequent imprisonment for homosexuality, ending with his flight to America. This was a New York Times Best Book of 1993. Banned in Cuba, yet famed across the Spanish-speaking world, this gritty in-your-face account takes life in Havana during the Special Period as its theme, portraying a world of poverty, violence and racism at cutthroat pace. Semiautobiographical, the story follows former journalist Pedro Juan and the lengths he must go to in order to survive. You’ll see copies of this in many a young traveler’s hand throughout Central/South America, now immortalized on screen in the popular movie starring Gael Garcia Bernal. This is 23-year-old Che Guevara’s lively travel diaries recording his journey across the continent with his best friend Alberto Granado. If you’re interested in the development of that iconic character, the formation of his identity and political beliefs beyond the myth, then this book is vital. It also offers a snapshot of the chronic poverty of 1950s Latin America. Originally a member of Castro’s entourage, Infante’s relationship with the regime soured until his eventual exile. Three Trapped Tigers sprung from those bitter experiences becoming a rich and witty, at times sarcastic, examination of 1950s Havana. Often considered the Cuban Ulysses, full of word play and puns, it is said no translation can do it full justice, but that doesn’t stop it from being utterly mesmerizing. A romantic study of 19th century Cuban society and customs, it is also considered one of the most beautiful and tragic love stories in Cuban literature, and its protagonist has become a mythic icon in her own right. Following the life of young and beautiful light skinned mulatta Cecilia Valdés, the story exposes complex problems of race relations in the country and the horrors of the African slave trade. 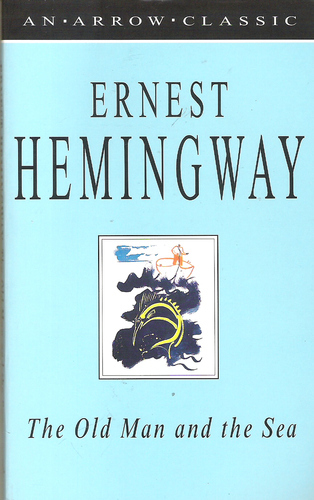 It seems every other bar in Havana celebrates the fact Hemingway drank there, but between daiquiris, he managed to pen The Old Man and the Sea, which won him the Pulitzer Prize for Fiction and renewed his international celebrity. This stunning, melancholic parable tells the story of old Cuban fisherman Santiago and his struggle to bring in a giant Marlin. Tyler Wetherall is a freelance travel writer and editor. Follow her on Twitter @tylerwrites.